No one wants to think about passing away and leaving family members behind. Many people, for this reason, put off estate planning because they feel a conversation about end of life plans is too sad or unsettling. In reality, estate planning is actually a very positive step you can take to protect your family and your assets after your death. Your estate is comprised of everything you own, from your car to your home, checking account, furniture and even the shirt on your back. When you meet with an estate lawyer, the two of you will put together a plan that clearly outlines a number of specifications, including who gets what part of your estate after you pass. Without a will or other explicit instructions, decisions regarding your estate and how it is distributed is taken to the court via probate. With this in mind, it becomes easy to recognize how having a will in place will protect your family after you have passed. If you are looking to start estate planning in Boise, contact the team at Capital City Law to help you start getting your affairs in order. Our experienced attorneys specialize in estate planning with a focus on trust- and will-based planning. We understand that discussing post-life plans can be difficult and even emotional—this is why we approach each meeting with the utmost sensitivity and professionalism. Below, we will outline what, exactly, estate planning is and why it is important for you and your loved ones. Estate planning is a process people go through (usually with an attorney) where explicit instructions are written down explaining how the person’s estate should be managed and disposed after they have passed away. 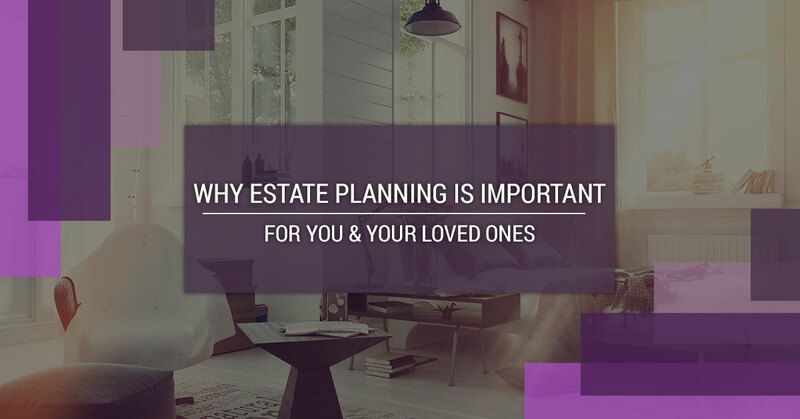 Planning also aims to minimize gift, estate, generation skipping transfer and income tax for the friends and family members who receive part of the estate. When a person arranges an appointment with an estate attorney, the client chooses what their specific goals are, which determines how simple or complex their estate plan will be. Estate planning involves the will, trusts, beneficiary designations, powers of appointment, property ownership, gift and powers of attorney. An estate plan resolves legal questions that can arise in the event of your death. These include questions like: What personal property do you own? How are your assets going to be distributed—who gets what? Who will be the legal guardian of your minor children? What are your preferences in regards to funeral arrangements? How much will will your beneficiaries need to pay to transfer property ownership? A will is a legal document that you create with your estate attorney that sets forth how you wish to have your assets distributed after your death. Wills can also appoint guardians for minor children. After the will is set in writing, it will be signed by you and a witness to ensure your instructions are carried out in exactly the way you have specified. At Capital Law, we recommend arranging annual maintenance meetings to review your will and make sure everything is current and up-to-date. Revisions may need to be made to your will if estate planning laws have changed, if there are any additions to your assets or if your will no longer accomplishes your planning goals. A trust is similar to a will in that it lays out how you want your property managed if you die or become disabled. This legal agreement involves three parties. The trustmaker, also called a grantor or trustor, joins an estate attorney to create a trust agreement. In the trust, a trustee is named. The trustee is the person responsible for managing the property that is transferred, by the grantor, as laid out in the trust. The final party involved is the beneficiary, which is the person or entity that will receive the benefits of the property titled in the trust. What are the differences between a will and a trust? Both a will and a trust provide instructions for how you want your assets distributed after your death. Unlike a living trust, a will does not avoid your state’s probate process. Probate is a judicial process in which the court determines whether your will is truly your final testament. While the actual probate process varies depending on where you live, but it is typically a very costly experience. Between legal fees, court costs and executor fees, the monetary investment is substantial. Additionally, many probate files are open to the public—this means anyone can be present, including friends or loved ones who were not named in the will. This gives them an opportunity to pursue a share of your estate. A trust, on the hand, can avoid probate at your death. This makes it a more popular choice for families. With a trust in place, the court will never have control of your assets when you pass. Trusts are also valid in every state, and you can modify them at any point during your life. One of the most significant differences between a will and a trust is that a trust can “live on” after you are gone. When you die, your assets can remain in your trust and are managed by the trustee. For example, if you are leaving money to a loved one but don’t want them to inherit it for several years, that money will remain “in” your trust until the proper time. Your living trust can still provide for your loved ones for many years after you have passed. Who should have a will or trust? Everyone should! There are many misconceptions about estate planning, but the most common is: estate planning is only for older, wealthy people. Some people incorrectly assume that they don’t have an estate or enough assets to create a will. Nearly everyone has an estate. Your estate is made up of all of your real and personal property—your home, your snowboard, your checking account and investments are all part of your estate. Consider the people in your life that are most dear to you. Do you want them to receive part of your estate after you pass away? Will your minor children need to be appointed a legal guardian after your death? These are all extremely important things to plan ahead for—this is why everyone should have a will, regardless of age or income. Your will provides exact instructions stating whom you want to receive part of your estate, what you want them to receive and when you want them to receive it. If you fail to make a will or trust, your assets and how they are distributed will be left up to the courts to decide. Do not leave such personal and important decisions up to a court of law. What happens if you don’t have an estate plan in order? If you die or become disabled and do not have an explicit estate plan in place, the court takes control of all the important decisions that you should have made before you became incapacitated. In the case of disability, if you are unable to conduct business because of your disability, a court appointee will be assigned to you. The appointee, not your family, is then the only one who can sign for you, and the court is in control of your assets. If you pass away and do not have an estate plan in order, your assets are distributed according to your state’s probate laws. In most cases, if you pass away leaving your spouse and children behind, each person will receive a fraction of your estate—and that fraction is probably much smaller than what you would have left them if you had created a trust or will. If one of those children is a minor, the court will be in charge of their inheritance until the child is of age. How can I be proactive about my planning? To start, you can give the professional attorneys at Capital City Law a call today! As your premier provider of estate planning services in Boise, we help our clients create thorough and inclusive estate plans that clearly outline their end of life wishes. If you do not live in Idaho, we recommend getting in touch with a qualified estate planning attorney near you. Losing a loved one is difficult enough, so the last thing you want to do is leave your family and friends scrambling to figure out the details that should be outlined in a will. Give yourself peace of mind knowing that everything will be taken care of, to your exact specifications, after you die. It is never too soon to start your estate planning, so get in touch with the Capital City Law team in Boise. Contact us to make an appointment and to learn more about the extensive list of legal services we offer.